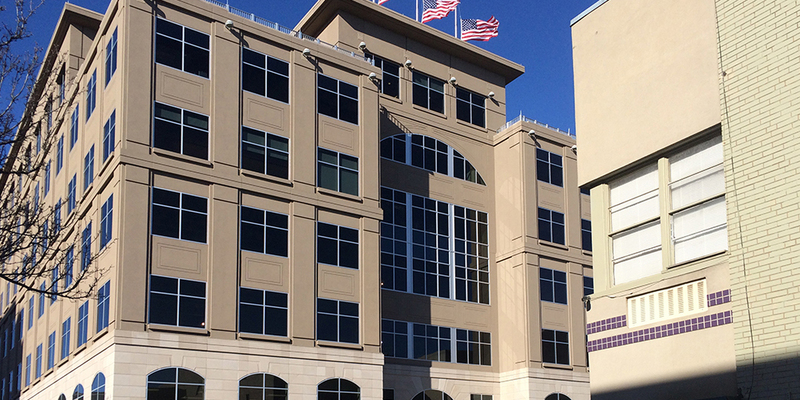 Ground Improvement | Geo-Technology Associates, Inc. Some developable property available today has undesirable subsurface conditions. These sites require modification to render them suitable for development. GTA has extensive experience in ground modification design, having provided services for difficult projects throughout the region. Ground modification techniques are used to improve the structural support qualities of an otherwise unsuitable material. These techniques provide cost-effective alternatives to conventional over-excavation and replacement methods. 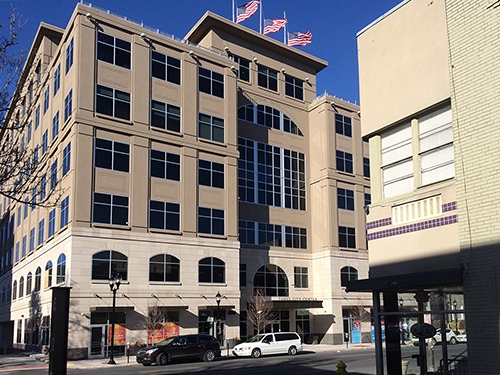 GTA provided geotechnical consultation services to facilitate the design and construction of the 166,000-SF, seven-story Class A office/retail building at 515 Hamilton Street in downtown Allentown. 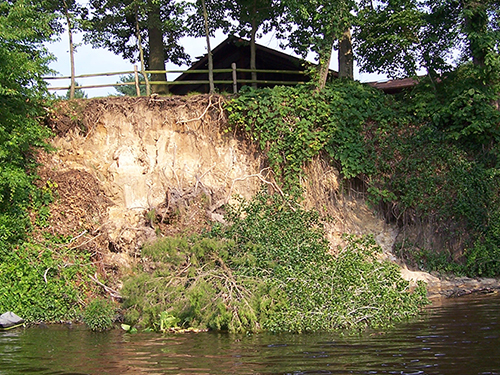 The subsurface profile was typical of karst geology in an urban landscape and included demolition debris from the former Colonial Theater, a highly variable rock surface, and fine-grained residual soils with several very soft soil layers. Due to the high column loads, initial preliminary design concepts included deep foundations consisting of micropiles; however, GTA was able to provide significant cost-savings through the use of a limited foundation over-excavation/replacement scheme combined with deeper soil improvement/void stabilization through the use of compaction grouting techniques. The combined over-excavation and stabilization methods minimized total and differential settlements across the building footprint which was underlain by variable materials consisting of shallow rock pinnacles to deep weathered soft soil troughs. GTA also provided technical guidance throughout site excavation with sinkhole remediation recommendations, underpinning of the adjacent historic county courthouse, soldier pile and lagging installation, and design of a temporary precast modular block wall for excavation support along Hamilton Street. GTA also provided construction testing services throughout building construction including soils, concrete, masonry, structural steel, and sprayed fire resistive materials in general accordance with Chapter 17 (Special Inspections) of the International Building Code. GTA provided value engineering services for the foundation design of a heavily loaded concrete building that is used to process and cure specialty meats. Column loads for the two-story, concrete building were estimated to be up to 1,600 kips, largely due to the weight of the meats hanging from overhead racks. The site of the proposed building was planned to span across a site that consisted of dense residual soils and rock on one half, and a 23-foot-deep ravine on the other. The ravine had also been subjected to years of uncontrolled dumping of soils and rubble. A critical aspect of the structural design was to provide a foundation which would support the heavy column loads, while minimizing critical total and differential settlements across the building footprint underlain by variable materials. GTA analyzed the use of auger pressure grouted (APG) piles, drilled shafts, and footings supported on rammed aggregate piers (RAPs). APG Piles were ultimately found to be too costly, and had the potential for being difficult to install through possible rubble fill areas. The owner and design team selected the rammed aggregate piers, which were found to be able to be installed at about half the cost of the drilled shafts, and in about half the time. RAPs sometimes called intermediate foundations, are considered a ground improvement method that increases the stiffness of the underlying soils to allow the use of traditional spread footing foundations, where heavy loads and strict settlement tolerances are involved. Various techniques may be used to install RAPs, but generally the piers are constructed by first excavating a vertical shaft within the soils by auger or vibratory probe, and then backfilling the shaft with compacted crushed stone. The process both improves the density of the surrounding soils by the lateral effect of stone compaction, and also creates stiff, vertical elements below the footings. This combination creates a relatively uniform, very stiff layer of soil within the zone of pressure influence of the overlying footing. Approximately 560 RAPs were installed within about a two week period. GTA also provided construction observation and testing during the construction of this project. GTA provided construction observation, material testing, and annual monitoring services for this “Living Shoreline” restoration project including marsh plantings, sills, groins and jetties at Ocean City’s Sunset Island. 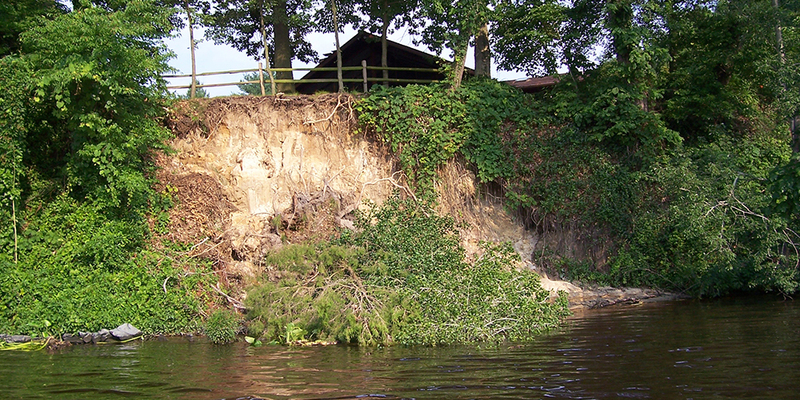 In addition to the removal of a rubble-filled shoreline, mitigation measures included the complete removal of invasive common reed (Phragmites australis). The ground supporting the Phragmites reed was excavated to several feet below the ground surface in an effort to remove the root system. Also, localized areas of Phragmites were sprayed to kill remaining root systems. Groin (rip-rap lines or fingers) or other type of retention systems were created prior to backfilling the affected areas with sand and re-planting wetland grasses, which are native to the area. Since the native grasses or a beach generally have much lower profiles than Phragmites, vistas of the open bay are much improved. As a result, the ecosystem benefits in addition to the property values of the improved shoreline. 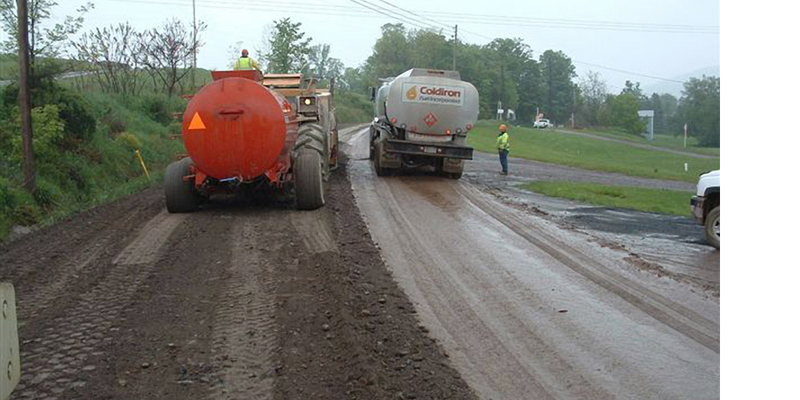 GTA provided design for upgrade and/or reconstruction of approximately 46 different paved and unpaved state, county, and municipal owned public roadways in Pennsylvania that were damaged by Marcellus/Utica Shale related drilling traffic since 2011. 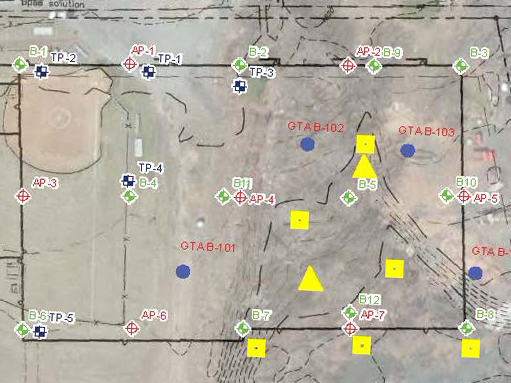 For each road, performed an evaluation of pavement condition and distress (rutting, cracking, base failure, instability) to assess options to support drilling traffic. Pavement design was performed in accordance with the AASHTO design methodology and included full-depth reclamation with cement, base repair options, HMA structural pavement overlay, total reconstruction, and geogrid stabilized base courses. GTA also provided design for seven dirt and gravel roads, totaling 27 miles, through the Allegheny National Forest that will be subjected to heavy traffic from oil and gas drilling. The roadway upgrades included options for aggregate and rock overlay, base stabilization with geogrid, and full depth reclamation with cement. Used driving surface aggregate to maintain the current gravel surface and reduce potential for dust, erosion, and long-term maintenance. Our design services on these projects included collection and logging of soil and aggregate samples from test pits and test borings, laboratory testing (moisture, USCS classification, moisture-density, CBR, and unconfined compressive strength of soil-cement samples), and flexible pavement design for full-depth reclamation with hot mix asphalt overlay and aggregate overlay, and also design of structural hot mix asphalt overlays. Our services during the reconstruction of these roads consisted of full-time observation and testing, which consisted of roadway subgrade stability, undercut and replacement, base repair stability, chemical application and mixing (application rate, moisture and mix gradation), density testing of compacted material, and fabrication of specimens for compression testing. 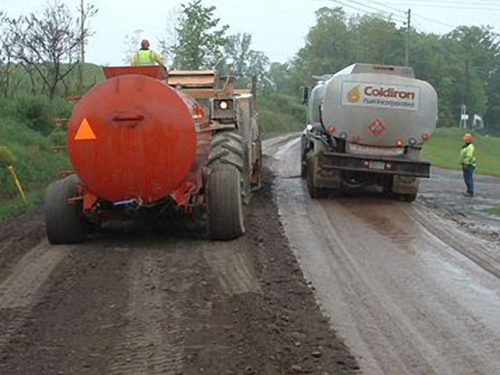 GTA has also provided wetland services including delineation, GPS location, and reporting for roadway improvements at nine locations to support the heavy vehicular traffic associated with the natural gas industry. Agencies that were involved in the design process included Pennsylvania DOT, Pennsylvania DEP, National Forest Service, and various county and municipal governments. 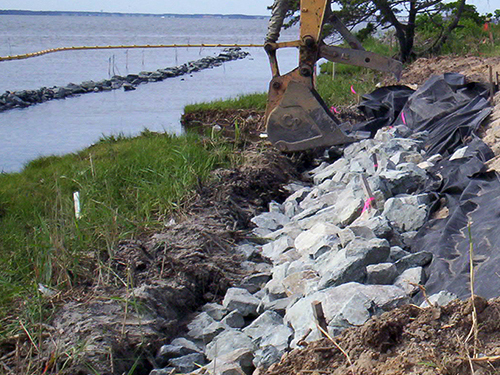 GTA was retained to provide geotechnical engineering services for design and construction of slope stabilization measures for a 25-foot-high natural slope on the Nanticoke River. Slope instability was threatening residential construction near the top of the slope. 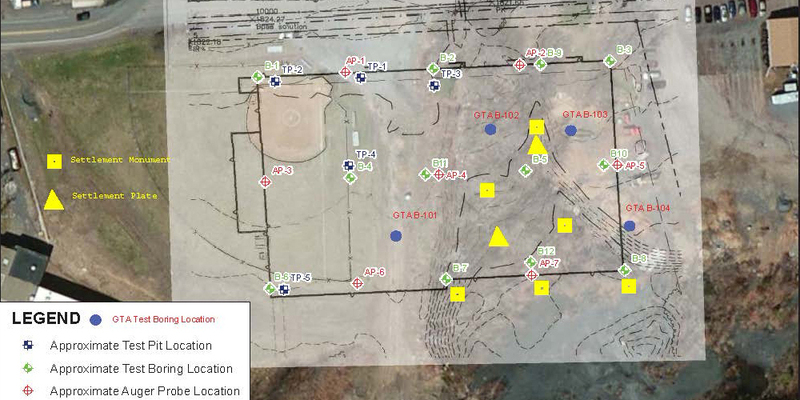 This evaluation included subsurface explorations, laboratory testing and slope stability analyses to evaluate the landslide. The explorations included up to 40-foot-deep Standard Penetration Test (SPT) borings by hollow-stem auger and mud-rotary methods. Laboratory testing, including Direct Shear tests, was performed to evaluate peak and residual shear strength parameters of the native, overconsolidated soils, along with other soil parameters. Slope stability analyses were performed to evaluate the factors-of-safety against global slope failure. 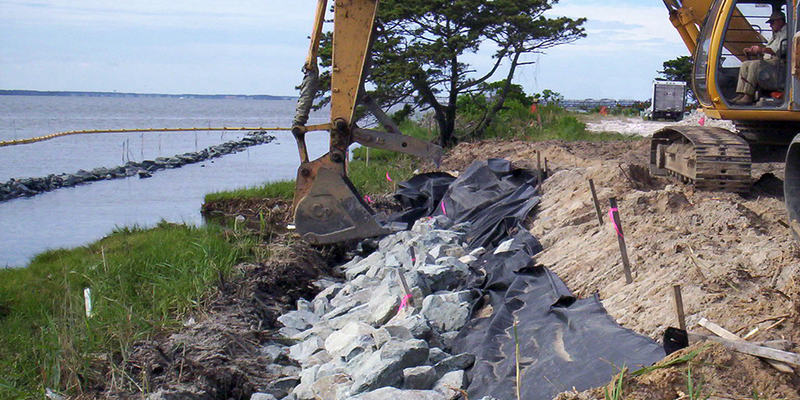 GTA also provided recommendations and assisted with development of slope repair drawings and specifications for increasing the stability of the existing slope by incorporating drains to lower the groundwater elevations, and bioengineered planting program and shoreline protection measures, such as revetment, groins and sills.